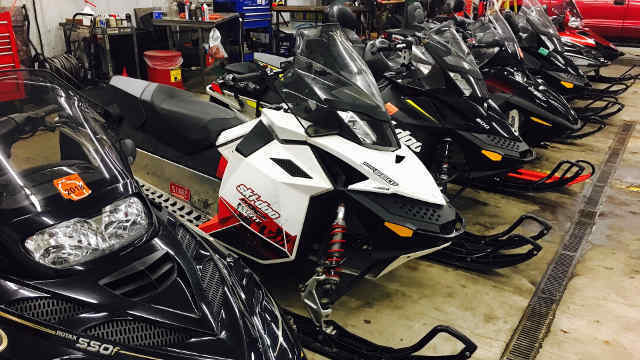 Snowmobile rentals from Twin Bridge Four Seasons are affordable and fun for the whole family. Twin Bridge Four Seasons is located right on the Iron Snowshoe Recreational Trail. Snowmobile rentals are $150 per day on weekdays and $200 per day on weekends and holidays. You must be 21 to rent a snowmobile. Here is a link to a Wisconsin state approved Snowmobile Certificate Online Course. If snowmobile conditions are less than favorable we do have trailers available to take them further north! New 2019 inventory rolling in ! !